How much are we willing to sacrifice for the safety of energy and wealth? 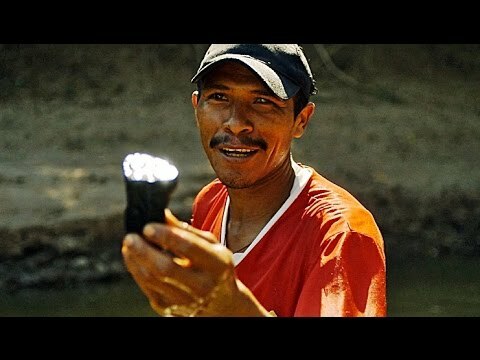 "La Buena Vida – The Good Life" is the story of the Wayúu community, told against a global backdrop of rising energy consumption being driven by the pursuit of growth and affluence. Jairo Fuentes, the young leader of the village Tamaquito lives in the Northern Columbian woods. Nature has always provided him and his family with everything they need to live. For centuries, his people have been hunting in the hills, collecting fruits, keeping chicken, sheep and cows. But the Wayúu-'s livelihood is being destroyed by coal mining in the area of "El-Cerrejón". The gigantic hole of 700 square kilometers is the world's largest coal mine keeps digging deeper and deeper into the virgin landscape. The Anthrazite (stone coal) is being exported globally. Coal fired power plants in Germany, England, Israel, The Netherlands, Turkey and the United States produce Electrical Power with these seeds, gathering a vast, bright and warm lifestyle. Jairo Fuentes is up and ready to defend his and his community's forced displacement, as it happened to other villages in the past. He initiates negotiations with the managers of the coal mine, who work for as powerful mega-corporations such as Glencore, Anglo American and BHP Billiton. The dialogue however is at a stand-still. The corporations promise to provide new housing to the representatives of the village. The Wayúu-people however refuse a "better life" by European standards, i.e. homes with electrical power supply. They resist these global capital powers and fight for their way of life in the forest, a fight for the survival of their indigenous way of life.